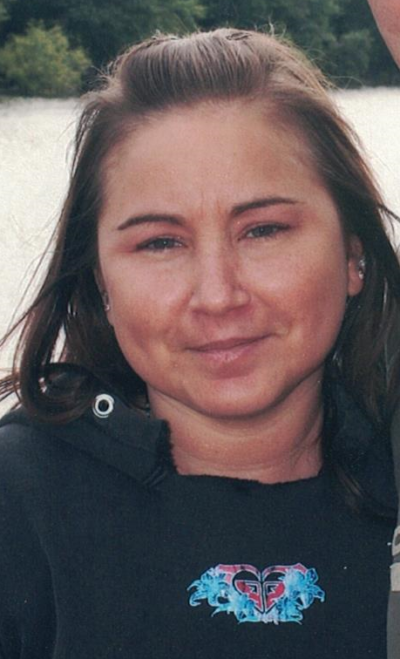 Amy L. Kahl, 44 of Menomonie passed away on Monday, December 3, 2018 at Mayo Health Systems – Eau Claire. Amy was born to Alan and Sandra (Oberheu) Polzer on March 30, 1974 in Milwaukee. She loved all animals, especially her dog Max. Amy enjoyed riding motorcycle and driving her Mustang car. She loved crafting, jewelry making, listening to Prince, and watching the Vikings. Amy was a very caring person who brought joy those around her. Amy is survived by her husband Wayne Lutz of Menomonie; mother Sandy (Rick) Petersik of Milwaukee; Alan Polzer of Milwaukee; brother David Polzer of Milwaukee; step-children: Lisa (Pat Reinhart) Olson, Shannon Lutz, Jenna (Adam) Greendeer, and Trisha (Devon) Kaiser; many nieces, nephews, other relatives and friends. Amy was preceded in death by her maternal and paternal grandparents and her brother Jeff, who she loved more than life itself and was an organ donor for her. A memorial service will be held at Smith Funeral Chapel on Saturday, December 8, 2018 at 3:00pm with Rev. Robert Hoekstra. Visitation will be from 1:00 pm until the time of service. Family and friends may leave online condolences at www.smithfuneralec.com. I am so sorry for the families loss. I am Wayne’s cousin. I met Amy through Wayne. Amy was such a sweet person and I will miss her dearly. May Amy fly high with God and his angels. God Bless you all. Sending prayers of comfort. Wishing you happy memories to hold and heal your heart during this difficult time. “Death leaves a heartache no one can heal, love leaves a memory no one can steal.” I am so sorry for all of the heartache Amy’s passing has caused. Prayers for strength to Sandy, Al and Wayne and to all of her family and friends who loved her so much. Rest in peace dear Amy. My heart goes out to Amy’s extended family. May her memory bring them peace. Trisha and Devon, I’m so sorry for your loss. My thoughts and prayers are with your entire family. Sending giant hugs and wishing Amy forever peace. So sorry for your loss. May your family find peace with beautiful memories.